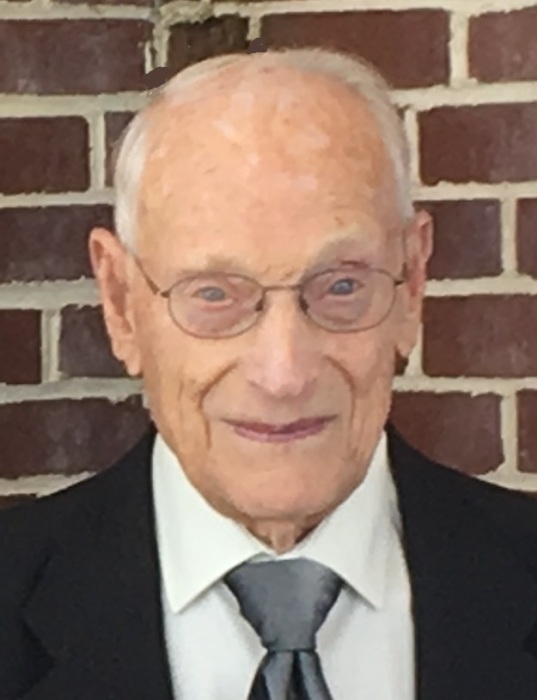 Obituary for H. Eugene Shaffer | Harold M. Zimmerman And Son Funeral Home Inc.
H. Eugene Shaffer, age 95, of Greencastle, PA died at 8:23 AM Saturday, August 18, 2018 in the Shook Home of Chambersburg. Born November 1, 1922 in Ft. Loudon, PA, he was the son of the late Charles H. and Ada (Geiman) Shaffer. He married his wife Lorraine (Hollinger) Shaffer on October 12, 1946. Eugene lived in St. Thomas for 23 years and was a 1941 graduate of St. Thomas High School. He served in the US Army during World War II and was in the European Theatre with the 6th Armored Division as a platoon sergeant from 1943- 46. He received several service medals including the Silver Star. Eugene worked at the former Fairchild Aircraft of Hagerstown for 20 years and last worked at Mack Truck of Hagerstown for 20 years retiring in 1982. He was a member of the Ebenzer”Guitners” United Brethren Church of Greencastle where he served as song leader, boys Sunday School Class teacher, sang in the choir and was active in Bible School. Eugene was a life member of the Greencastle Sportsman Association of Greencastle and was an avid hunter. He also enjoyed fishing and traveling with his wife for many years. They traveled to Alaska, Mexico and the western states and spent the winters in Florida and Texas. Surviving family in addition to his wife of over 71 years are one daughter Deborah Mellinger and husband Judson of Greencastle, one son Jeffery Shaffer and wife Beverly of Greencastle; five grandchildren, Lynne, Steven, Benjamin, David, Christine; fourteen great-grandchildren and one sister Virginia Shelly. In addition to his parents, he was preceded in death by one brother Charles Shaffer and one sister Margaret Larson. Funeral services will be held on Wednesday, August 22 at 10:00 AM at the Ebenezer “Guitners” United Brethren Church 3661 Williamson Rd. Greencastle, PA with Pastors David Grove, Richard Mose and Steve McElhiney officiating. Burial with military honors provided by the Chambersburg VFW Post #1599 Honor Guard will be in the Parklawns Memorial Gardens in Chambersburg. The family will receive friends at the church one hour before the service on Wednesday. Online condolences may be expressed at www.zimmermanfh.com. In lieu of flowers, memorial contributions may be given to Ebenezer United Brethren Church 3661 Williamson Rd, Greencastle, PA 17225. Arrangements were handled by the Harold M. Zimmerman And Son Funeral Home of Greencastle.